Affordable – The spring cleanup services offered by Clean Slate Landscape & Property Management, LLC are also affordable. Many clients operate on a budget and have no problem choosing our services to fit within their budgets. The spring cleanup service offerings are priced right and enable clients to afford necessary upkeep of their lawns and gardens. Efficient Service – Clean Slate Landscape & Property Management, LLC also provides spring cleanup service which is efficient all the way around. 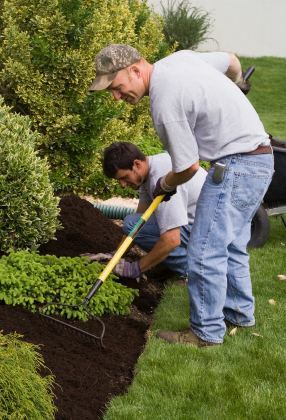 When you hire a spring cleanup company to maintain and spruce up your yard and gardens, you deserve for the finished product to meet with your approval. Clean Slate Landscape & Property Management, LLC won’t stop until the job is finished and is completed to your liking. When spring approaches, it is the perfect time to get your yard ready for the warm weather with our spring cleanup service. Contact Clean Slate Landscape & Property Management, LLC today at (508) 669-7959 and see what spring cleanup services peak your interest.